This beautiful handmade scalloped edged wedding card has been designed using an embossing folder to emboss the white background paper for texture, this is then mounted on silver mirror card, the heart shapes are also embossed to give it the heart shapes a textured look. 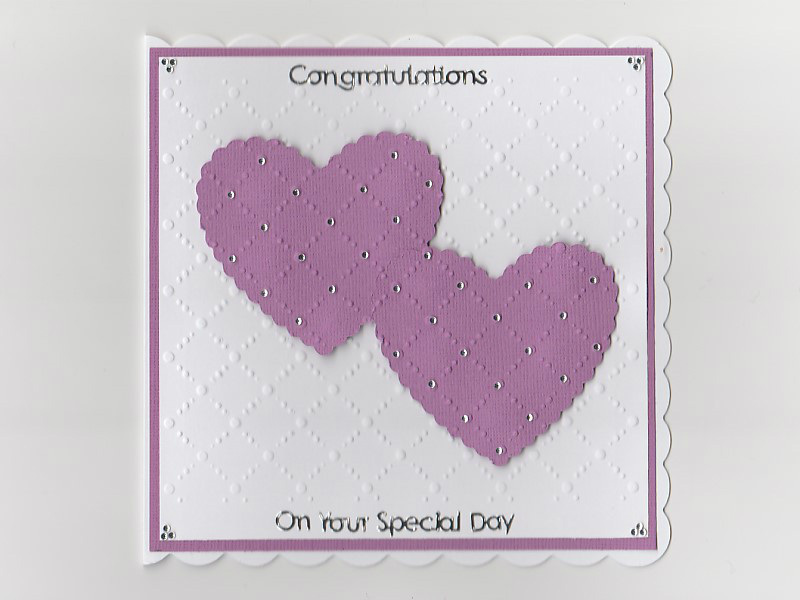 This on your special Day card is a beautiful handmade, scalloped edged wedding card. 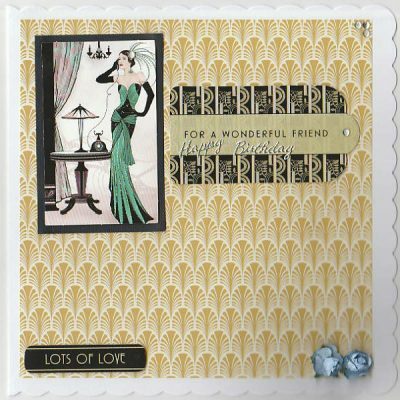 Firstly this card has been designed by using an embossing folder to emboss the white background paper for texture. This is then mounted on a silver mirror card. The heart shapes are also embossed to give it the heart shapes a textured look. Then gems are added to give it a bit of sparkle. Lastly silver outline sentiment stickers are added to finish of the card. The inside is blank for a verse/sentiment of your choice. 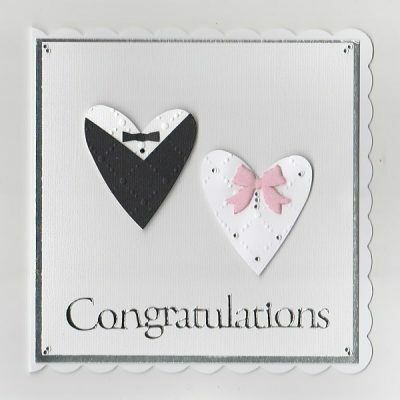 The cut out heart shapes on this card can be created to match our chosen colour scheme for your wedding day.